PT100 PT1000 RTD 4-20mA temperature transmitters - Robert Owen Inc.
Use spare PLC 4-20mA inputs for temperature sensor measurement, with ROI-XMA RTD transmitters. ROI-XMA RTD transmitters allow the simple measurement of industry standard series 100 ohm PT100 or 1000 (1K) ohm PT1000 RTD temperature sensors. Existing RTD temperature sensors can be connected to modern control systems. 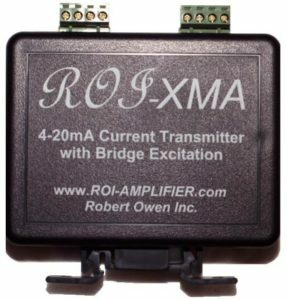 ROI-XMA RTD 4-20mA transmitters are a simple way to add temperature sensor measurement to a PLC.